There may be two weeks remaining in the regular season of the League of Legends Champions Korea’s Spring campaign, but the six play-off spots have already been locked in. 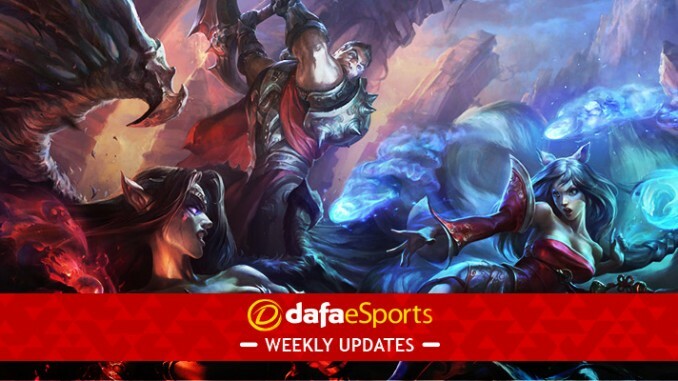 This week’s action will instead focus on the seeding for those play-offs – the Korean format making every place extremely valuable – and, at the other end of the table, the battle against relegation. One of the biggest names in the LCK is that of kt Rolster, but they are currently fighting to avoid relegation. kt, who currently sit in the final relegation spot, are a half game back of Gen.G and two games ahead of Jin Air, with the team at least looking better last week despite two losses. While it was expected that the Bottom lane would be an issue, it has been a much heavier anchor than anticipated. As least Bdd has still performed at a star level, despite the team’s overall inability to find wins. Having such skilled and experienced players as Smeb, Score and Bdd will always give kt a chance, and they do have four games left, including a bout with rock-bottom Jin Air. At the other end of the scale is a clash against KING-ZONE DragonX but each and every match from here is critical for this legendary organisation. As noted, the team just outside the relegation zone currently are Gen.G, who play just once this week. Gen.G stunned the world when they took down Griffin to end their hopes of a perfect season, but since then that win has been diminished significantly. The combination of Griffin losing to the Afreeca Freecs and Gen.G quickly falling 0-2 to KING-ZONE hampered expectations moving forward with there now being a less-glowing perspective about their signature victory. CuVee has performed well in place of Roach, and overall the team continue to be heavily focused around the play of Ruler, who remains their most consistent and skilled player. Gen.G’s best shot at getting a win in the final fortnight looks to be in this week’s clash with Afreeca Freecs, with their other two matches being against DAMWON Gaming and SANDBOX Gaming. Suddenly Griffin have opened the door to the rest in terms of the top seeding, as they now sit only a game above both SKT and SANDBOX in the win column (although they do have a game in hand). Griffin looked completely lost last week, especially during the early game. While Griffin were still, at times, able to out-teamfight both Gen.G and Afreeca despite being significantly down in gold, overall they looked a shell of their former self. Sword’s champion pool has suddenly become an issue, seeing him fall back to Urgot over and over, despite his disappearance from the pro scene in general. Viper and Tarzan will be the players looked upon to step up this week, especially given match-ups against two play-off teams in Hanwha Life Esports and DAMWON Gaming. Speaking of DAMWON, the addition of Flame has been solid upgrade, giving them both flexibility as well as a wealth of experience. DAMWON have been an interesting team to track this year, splitting fairly evenly against many of the play-off teams, and generally they have been able to push teams to a third game. ShowMaker remains the only player on the roster without a substitute sitting behind him and he is yet to disappoint. He possesses a deep champion pool and a consistency from game to game that the team can play around. Questions still remain about whether or not this team, which is filled with young players, can sustain their form through the pressure of the end of the split, but they have shown no sign of slowing down thus far.